All dive sites are within a 10-25 minute boat journey, which means you actually spend most of your time diving rather than sitting in a boat! 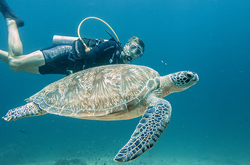 We send only two buddy teams with each guide providing you with a very relaxed diving environment. Oxygen, communications equipment, as well as drinking water are standard safety equipment on board. Most of our dives are drift dives, so the boat picks you up at the end of the dive. 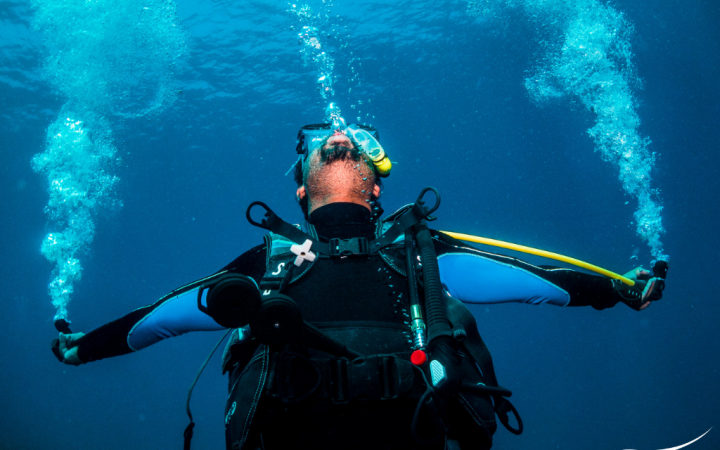 Depending on air consumption and depth, most dives are between 45 min and 1 hour in length. Our dive sites offer a broad range of topography, including sea mounds, slopes, canyons, walls and flatter areas, providing a wide selection for divers of all levels. All of our dives are guided dives, regardless of your skill level or experience as a diver. Your guide will help prepare and break down your gear, as well as guide you under the water. We divide our groups by skill level (OW or Advanced divers) into groups of no greater than 5 divers. 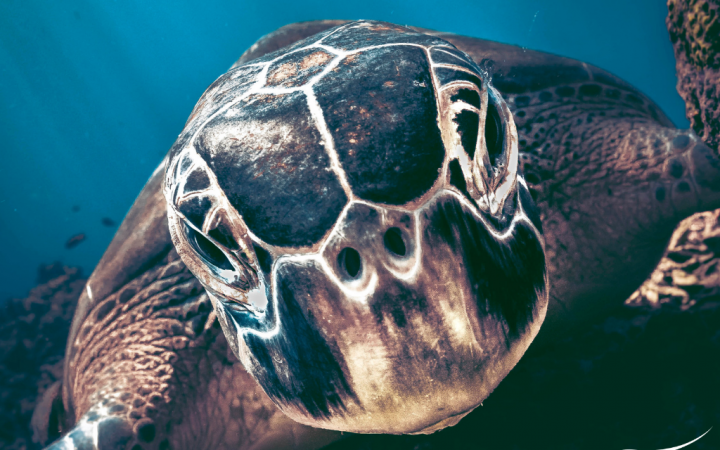 Typically we encounter black and white tip reef sharks, stingrays, octopus, cuttlefish, moray and ribbon eels, a variety of scorpion and lionfish, clams, sea snakes, silly amounts of turtles and a bewildering amount of fish. If you're into the small stuff Hans Reef and the Harbor just off Gili Air are great for 'Muck Diving', where frogfish and pipe fish are the highlights. 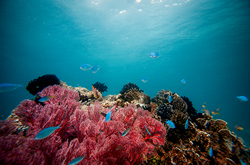 We also offer dives in Seahorse and Menteggi Bays for divers looking to explore the less crowded sandy slopes of Lombok. Thousands of species dwell in these waters, other visitors include mantas, eagle rays, leopard sharks, and large pelagics. 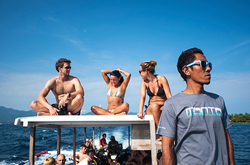 Dives are generally at 9 am, 11;30 am and 2 pm, night dives typically begin at 6:00 pm. Please plan to arrive at the dive centre at least ½ hour beforehand to arrange equipment, and so we can make all the necessary pre-dive checks and briefings. The more you dive, the better the discount. 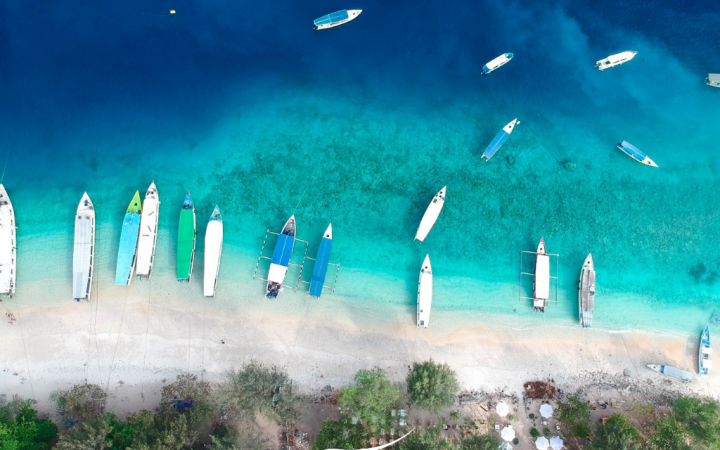 You do not need to give us an exact amount of dives you plan to complete before you are here, we will honor the discount as long as you have confirmed you will dive during your stay on Gili Air. Combo of two categories 15% discount. Combo of three categories 20% discount. Maximum discount available is 25%. Contact us for more information or to book your dives today! Winner of the Trip Advisor Traveller's choice award for the second year in a row! Also proud to be a TripAdvisor centre for excellence for 4 years running!